Is the proper location of a transit stop requires on-site investigation of the stop(s) under consideration and must be concurred with by the municipality the stop is located in. No standard type of stop can be recommended for all locations, as each intersection is unique in its characteristics. An inventory of land uses within a quarter-mile corridor of the road under consideration should be developed; noting uses that serve as major trip producers and attractions. Should be located within a short walk from schools, major retail malls, office buildings and multi-unit apartments. These stops provide access to the transit system for uses that generally attract a large number of transit riders. Bus stops should be located to balance good rider access with pedestrian safety. Stop locations should support efficient transfer movements minimizing rider walking distance and avoiding unnecessary crosswalk movements as well as the potential for jaywalking. In addition, all bus stops and rail station stops along a route should be fully accessible in accordance with the Americans with Disabilities Act. For example there should be no obstructions preventing the boarding and alighting of patrons who use a wheelchair or other assistive mobility devices. In addition, pathways to and from a bus stop and rail station should be unobstructed. If obstructions do exist every effort must be made to resolve this with respective municipalities. 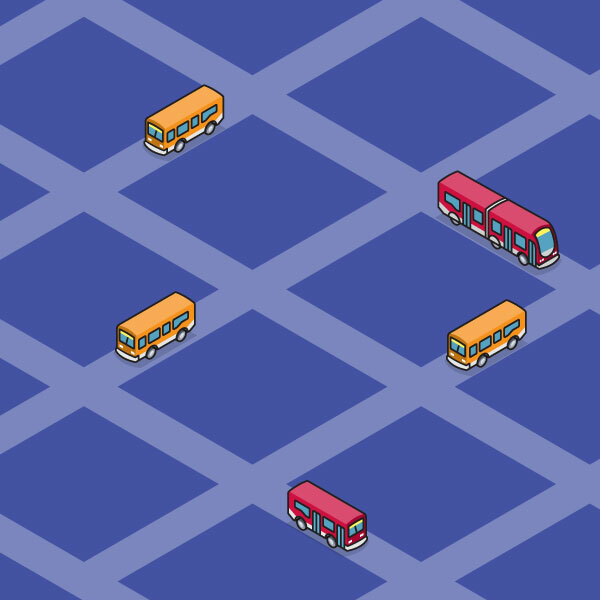 In the case of bus stops they can either be moved to a new location on a permanent basis or temporary basis dependent on the situation such as construction. Refers to the average distance between consecutive stops along a bus route. Guidelines for bus stop spacing are established at a level where service is within a reasonable walking distance and stop delays do not significantly reduce travel time. Ideally, stops should be as far apart as possible without adversely affecting passenger convenience. Bus stop spacing should be related to ridership density and bus service type. Stops should be closer together in the major commercial districts and farther apart in the outlying areas.